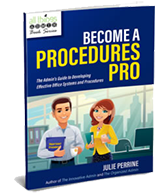 Wondering what to include in your administrative procedures manual? The following infographic offers some suggestions on materials you can include in this important administrative tool! Click here to view the infographic online. 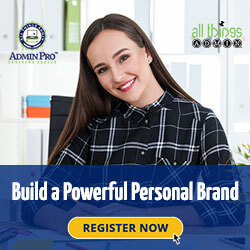 Julie Perrine, CAP-OM, is the founder and CEO of All Things Admin, providing training, mentoring and resources for administrative professionals worldwide. Julie applies her administrative expertise and passion for lifelong learning to serving as an enthusiastic mentor, speaker and author who educates admins around the world on how to be more effective every day. 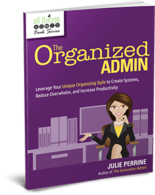 Learn more about Julie’s books — The Innovative Admin: Unleash the Power of Innovation in Your Administrative Career and The Organized Admin: Leverage Your Unique Organizing Style to Create Systems, Reduce Overwhelm, and Increase Productivity, and Become a Procedures Pro: The Admin’s Guide to Developing Effective Office Systems and Procedures. 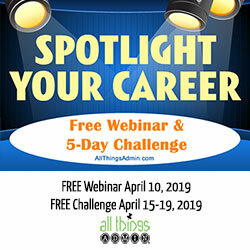 And request your free copy of our special report “From Reactive to Proactive: Creating Your Strategic Administrative Career Plan” at www.AllThingsAdmin.com.